I don’t think anyone has ever dared to say it but Briam is actually a very unruly ratatouille. Well perhaps Martha Rose Shulman, back in 2010 with her New York Times article in praise of vegetable bakes across the Mediterranean. From Turkey to Spain there isn’t a kitchen that does not enjoy a version of this baked or stewed saucy vegetable dish. 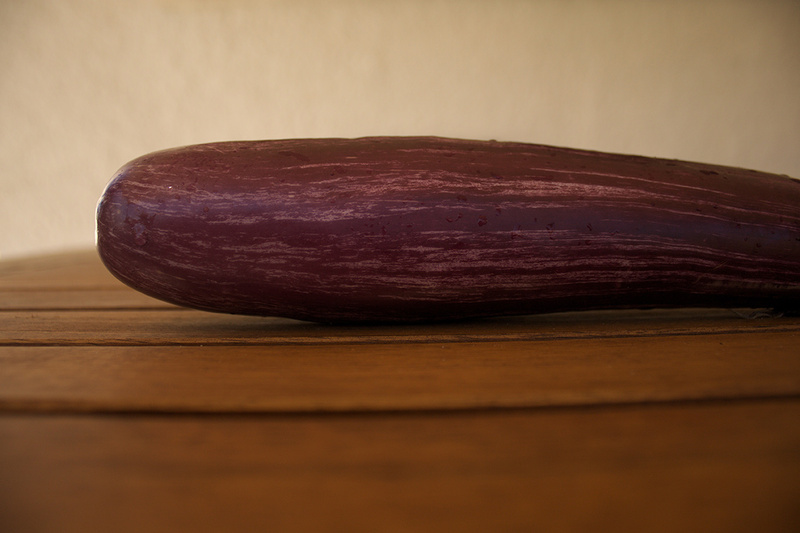 Call it Turlu, briam, caponata, ciambotta, pisto or alboronia – they all hail the aubergine! I am very happy to have some really special, Tsakonian aubergines for this one. Acquiring their PDO in 1996, they have a slightly sweeter taste and are easier to cook. Now getting your hands dirty, switch on the oven, preheat to 180 °C and start chopping. Slice the potatoes thinly but keep your aubergines and courgettes chunky (either sliced or cubed). Once you peel your onions, cut in four – they need to be chunky to withstand the fierce heat of your oven for up to two hours. Also chop your garlic if you are using it. Once sliced and diced, place in a large ovenproof dish and pour on the tomatoes with the olive oil, wine, garlic, oregano, salt and pepper. Mix everything really really well to keep your veggies moist, cover with foil and it’s ready to go in the oven. This dish can take up to two hours to bake. Give it a mix on the hour and keep checking it every 15-20 minutes after that. Finally, let it stand for 15 min before serving. Some people like to place the briam under a hot grill for the last 5 minutes, giving it a crispy finish. If it looks dry do not be tempted add water, pour on some more wine instead. I hope you haven’t drunk it all whilst waiting! These aubergines are not grilled, but definitely ready to eat. Tempted to try? Let me know how it goes, either by using the comments below or through the contact page.